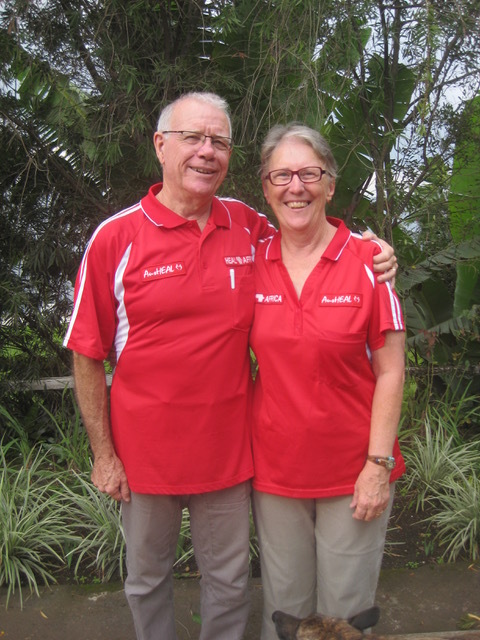 AusHEAL representatives David and Heather Kelly arrived in Goma D.R.Congo from Brisbane on the 15th February such that David could resume oversight of some of the HEAL Africa Hospital administration, mentoring the Chief of Operations, as well as his continuing involvement on the HEAL Africa Assemblie Generale, the Board for HEAL Africa Hospital (HAH) and external Community Projects. Heather is resuming her English lessons with various members of the staff. 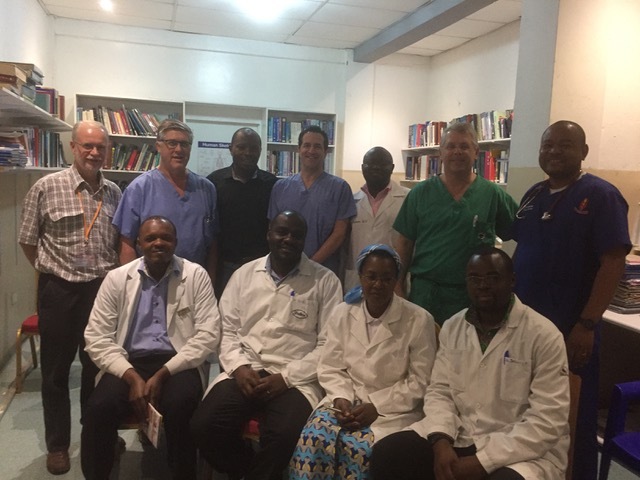 On 25th February Dr Neil Wetzig, Director of the AusHEAL Congo Project, also returned to Goma from Brisbane to resume the ‘on the ground’ partnership between AusHEAL and HEAL Africa Hospital. Having come through a period of uncertain security in 2016, Goma is currently peaceful albeit still coping with political uncertainty. It has been encouraging to see the USA team embracing the basic surgical training program at HAH. Their interaction with the COSECSA Trainees has been of great benefit. This was demonstrated on Thursday 9th March, in an additional training session, when all the visiting surgeons formed a panel to answer Trainees’ questions. Subjects included not only clinical problems, but also the craft of surgery, the responsibility of surgical care in DRCongo, and the significance of the current group of Trainees being the vanguard of improving surgical care in their resource-poor country. 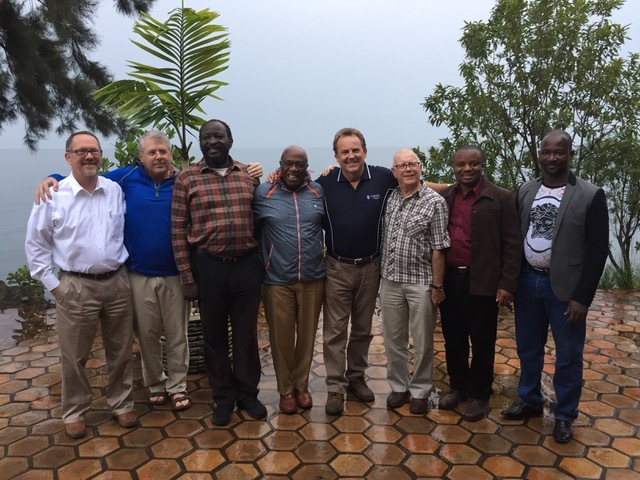 The annual HEAL Africa Assemblie Generale Meeting was held from 1st to 3rd March, a good productive time. 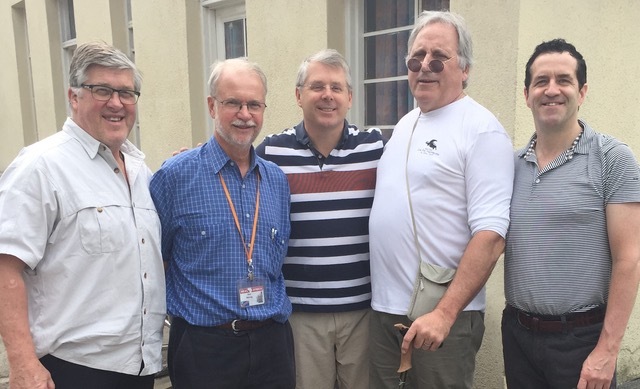 Australia has two representatives on the board: David Kelly from AusHEAL and Lindsay Thitchener from Sonic Healthcare.A new board member, Dr Bill Clemmer (a long term USAid Program Manager with extensive experience in DRCongo and South Sudan) was welcomed. On the first day, HAH staff presented the previous year’s activities in both the hospital and the community development programs to the Board in a public open session. While this was a long day, Neil and Heather were able to attend . It was a wonderful opportunity to observe the breadth of HEAL Africa’s activities in both the medical field and in community development. The hospital is expanding its capacity from 197 beds to 203. The current hospital staff includes 14 specialists, 13 ‘other’ doctors, many on training programs, 82 nurses, 14 paramedical staff, together with 15 in administration. 42% of the hospital staff are female. Consultations at the hospital rose from 22,576 in 2015 to 27,443 in 2016. There were an additional 17,244 consultations for preventative measures such as HIV follow-up & nutritional care. 5,102 operations were performed by HEAL Africa staff in Goma in 2016. 1,828 pregnancies were delivered. Questions had been raised about the 39% Caesarean section rate. It was explained that HAH deals with many of the difficult cases on referral from other hospitals. There were no cases of maternal mortality for patients treated within HAH. Sadly, presentations of victims of sexual violence rose from 347 in 2015 to 393 in 2016 -having fallen dramatically from 768 in 2010 to 271 in 2013. Outreach surgeries by Heal Africa staff visiting rural centres increased from 719 in 2015 to 825 in 2016 – 28% were orthopaedic procedures, 53% gynaecology (mostly fistula and prolapse repairs) and 18% for general surgery. The latter mostly being for cleft lip and/or palate repair. Activities of the Laboratory and Radiology departments, income generating for the hospital, continue to increase. David has spent the past week ‘tying up loose ends’ from the Assemblie Generale, while Heather has continued English lessons. Neil has been working alongside the USA surgeons, helping to deal with decisions regarding difficult cases. 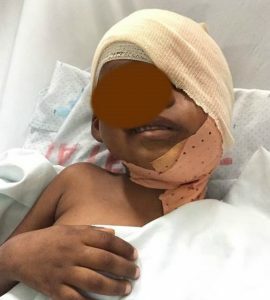 The sad case of a 3 year-old child with necrosis (death) of much of the tissue on the right side of her face, the result of a severe infection. She was eventually offered palliative care after extensive consultation with colleagues both in the USA and Australia. Another notable case was the resection of an enormous left facial tumour. Surgery involved 4 surgeons and was a great USA/Congolese/Australian team effort.